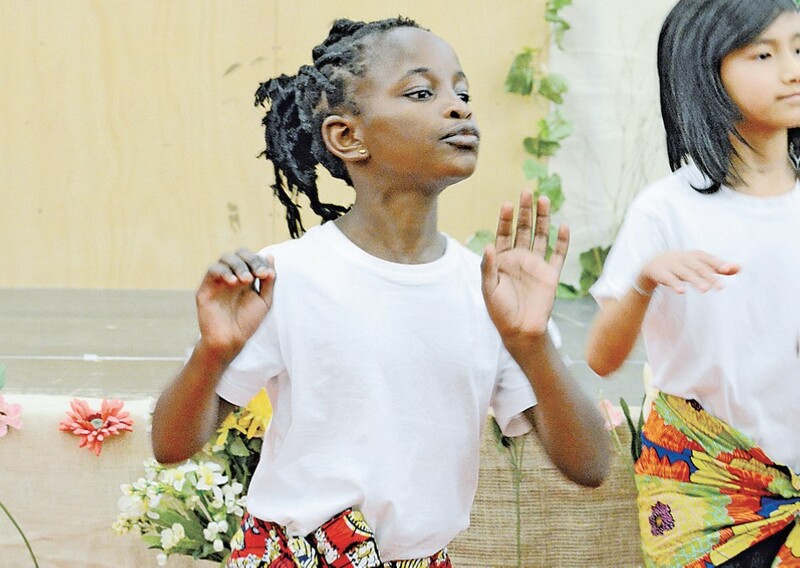 Students from Mount Gambier North Primary and Mount Gambier High schools performed musical items, including a tra­ditional Burmese dance, a hip hop routine and a rendition of We Are The World. In addition, Congolese migrant Jolie Hirwa shared her inspiring story of migrating to Mount Gambier, as well as how she has adjusted to Australian life. 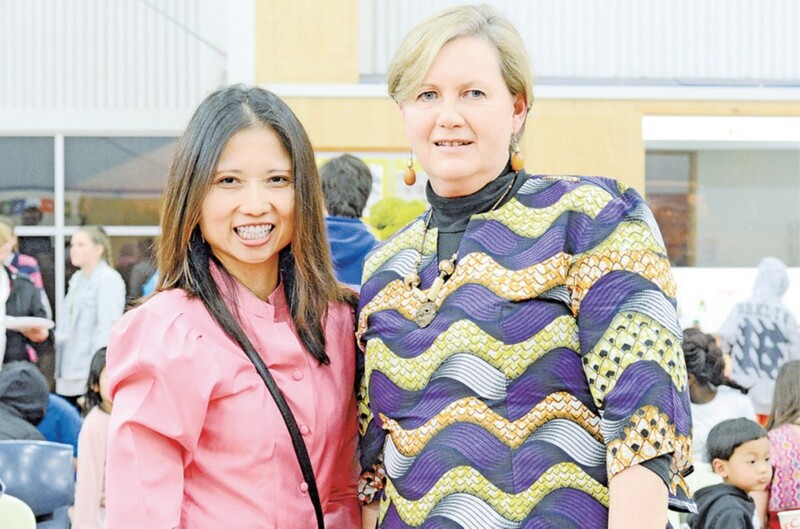 The celebration was well attended by the Mount Gambier community with Mount Gambier Migrant Resource Centre man­ager Anelia Blackie praising the event’s support. “It is great to see so many members of the community join together in celebrating our region’s migrants,” she said. A report on a decade of Burmese settlement in South Australia was also launched on the night by Department of Home Affairs regional director Jane Sansom. The report was compiled by the Australian Migrant Resource Centre and the University of Adelaide with content submitted from throughout South Australia, including stories about Mount Gambier’s migrants. Photo: Leadership: Mount Gambier North Primary School Intensive English Learning Program assistant principal Arm Puangpaka and Mount Gambier Migrant Resource Centre manager Anelia Blackie coordinate events at Refugee Week celebrations (Photographer: Katie Jackson, The Border Watch 2018). Photo: Sharing Culture: Chanceline Kakule and Jolie Hirwa enjoy the atmosphere at the Refugee Week event held at Mount Gambier North Primary School (Photographer: Katie Jackson, The Border Watch 2018). 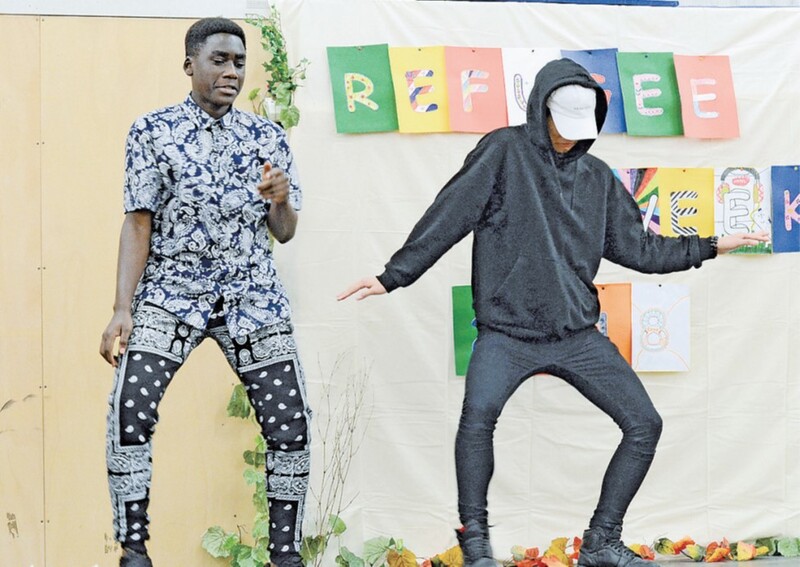 Photo: Vibrant Event: Espoir and Anton perform a hiphop routine (Photographer: Katie Jackson, The Border Watch 2018). Photo: Refugees Embraced: Mount Gambier North Primary School principal Paul Harmer and Mount Gambier High School principal Chris Edmonds (Photographer: Katie Jackson, The Border Watch 2018). Photo: Upbeat: Students from Mount Gambier North Primary School perform as part of Refugee Week (Photographer: Katie Jackson, The Border Watch 2018).